Texas mom Melissa Mathis was convinced that she’d be healthier if she ate her placenta after giving birth, but the hospital wasn’t so sure. In fact, in Texas (until Mathis became involved) placentas were considered medical waste and it was often next to impossible for a mother to leave the hospital with her placenta after giving birth. So Mathis and her husband contrived a conspiracy to purloin her placenta from the hospital. That quote leaves me with so many more questions than answers. I’ve been in a few hospital rooms where mothers were birthing babies. And I’ve never seen an opportunity to walk out of that room with an organ. And you just happened to have a cooler handy? That didn’t raise any suspicions with the nurses? During labor, did the father just randomly pop the top on a few cold Dr. Peppers to make the placenta’s get-a-way vehicle look more natural? And the backpack….Look at the cooler in that picture (The picture is Mathis and the actual cooler that was used). What kind of backpack was used to smuggle that thing out? And at what point did the doctor not notice the husband 1-Stealing a human organ 2-Icing the organ down in a cooler and then 3-Manhandling that cooler into a backpack? 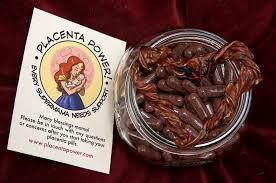 Lastly….The PLACENTA HANDLER. Oh my goodness, I didn’t know that such a thing existed. But if Placenta Handlers are routinely involved in stuff like this, I’ll apply tomorrow. I can only imagine that the Placenta Handler left the hospital dressed in all black leather on a black motorcycle, chased by ninjas following her by running along nearby rooftops. When I become a Placenta Handler I’m going to wear a shirt with “PH” on it to be sure that the bumbling husbands don’t mess up the “drop” in the hospital lobby. How embarrassing would it be for them to give MY organ filled ice chest in a backpack to someone else? 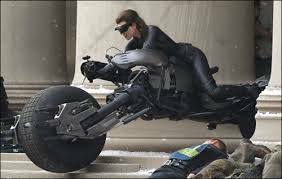 Mysterious female spies on black motorcycles might be at the hospital for something else (twisted ankles from sliding over car hoods all day?). And “PH” wouldn’t be terribly obvious that I was a Placenta Handler. People might think that I had just visited the Philipines, or that I had an unusual interest in alkalinity (it could also be used if I ever hand to go undercover as a pool boy), or more likely my bulging secret agent muscles would leave people assuming the “PH” just meant “Power House”. I’m going to tell myself that the Placenta Handler, whatever that is, is who orchestrated this whole thing. Because the notion that a housewife from Dallas planned this heist all by herself is a serious blow to my ego. The future of Placenta Handlers in Texas isn’t looking so good though, so I’m not going to quit my day job just yet. Mathis worked with her state representative and starting next year Texas mothers will be able to just walk out the hospital doors with their placentas, no deception needed. Which I suppose is good for people who want to eat a placenta, but it’s going to seriously hurt the Placenta Handler profession.